UPDATE: Thank you for attending the Workshop. It was a pleasure meeting you! To request the presentation, click here. 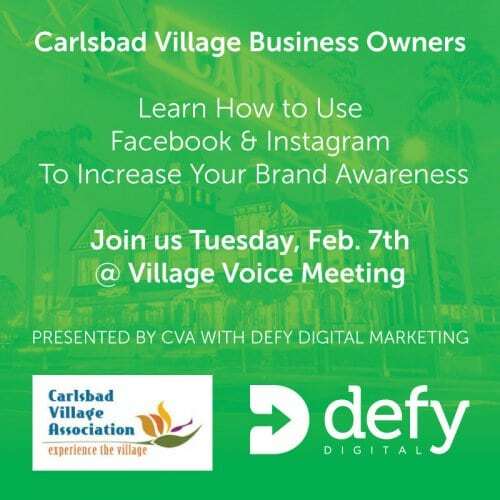 Defy Digital has been asked by the Carlsbad Village Association to assist Carlsbad business owners through advocacy, education, marketing, and helping its merchants partner with other businesses. As part of the initiative, Defy Digital will provide marketing guidance via three-part workshop during the monthly Village Voices meetings. On February 7th, we will cover expanding brand reach through social media. Business owners can expect to learn what is new on Facebook and Instagram, social media best practices, trends, the use of video for marketing and more! 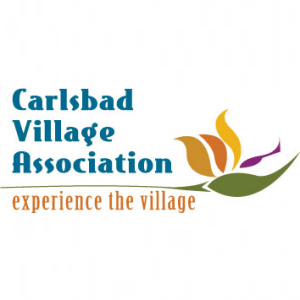 Join us at our new meeting location – New Village Arts Theatre, come meet your fellow merchants, introduce yourself, enjoy delicious coffee complimentary by our fellow Carlsbad Village merchant, Steady State Roasting, and stay connected!